Good credit is a key pillar when establishing a strong financial foundation. Poor credit makes people less able to maneuver financially in today’s economy. The better your credit, the more opportunities exist for you to have access to beneficial financial resources. For this reason, it is a smart idea to monitor your credit like a hawk. From identity theft to faulty reporting, any number of credit issues can arise. If you are not watching what is going on with your credit, these issues can harm you in a variety of ways, and you may not even know you are being financially harmed until it is too late. To avoid these types of credit problems, it becomes necessary to adopt a practice of watching your credit score and major credit reports on a fairly regular basis. This way you will be able to stay on top of any nefarious credit-related activities going on at your expense, and take decisive action whenever necessary. With so many parties actively checking into your credit history these days, it only stands to reason that you should regularly check your credit score and credit reports too. Learning how to check these items is the first step to properly monitoring your credit. Your credit scores and credit reports are generally compiled by three primary credit bureaus: Equifax, Experian and TransUnion. A clever way to get your credit scores for free is to sign up to a site that offers credit scores during a free trial basis and then to opt out before the free trial is over. Their top rated site to use, for monitoring scores and for updates to your major three credit reports, is through the company Identity Guard. Paying for a monthly subscription to a credit monitoring service is an easy way to keep current on any activity hitting your credit report. Many of these services will alert you by email the moment a change to your report comes in or when something suspicious appears on one or more of your credit reports. If you are the type of person who likes to go straight up the chain of command to the credit reporting agencies themselves, there is nothing preventing you from acquiring your credit reports directly from Equifax, Experian and TransUnion. In fact, it is a common practice of some people to order one of these three reports every four months, developing for themselves a complete picture of their credit history each year. As for checking your credit score, rather than your report, you may do this as often as you like. There is no penalty for soft inquiries like that to determine the status of your own credit score. One of the ways you can tell that something is definitely worth checking into concerning your credit is if you recognize any unauthorized credit inquiries showing up on any of your three major credit reports. An unauthorized credit entry suggests that someone is poking around into your credit history without a good reason for doing so. Obviously, if this is going on, you will want to know what the party making the unauthorized credit inquiry is up to; hence, it is necessary for you to know how to handle an unauthorized credit inquiry. Fortunately, the process is relatively easy and will not take up too much of your time. When you see an entry you do not recognize on your credit report, it is then time to contact the party making the entry. You will want to call to ask why they made such an inquiry: taking detailed notes during the call. Make sure to get names and ID numbers of people in the company you talk with for future reference. This makes it easier to help authorities identify and question the people you spoke with. This is, of course, assuming that the entry on your report is unauthorized. If you find out it is an entry resulting from something you did yourself, then you may not have anything to worry about. But, if it is something potentially fraudulent, you will not want to ignore it. Chances are it will not go away on its own. Looking over your three major credit reports will often help to reveal more information about the party engaged in making an unauthorized credit entry. It is your right to contest anything on your report that looks suspicious. Each of the major credit bureaus provide consumers with avenues through which a person is able to file a formal dispute about an entry on their report. By doing this, you are forcing the creditor making the inquiry to verify that they have a legitimate purpose for making the inquiry. Generally, the party in question has up to 30-days to respond. It is important to remember that any time you are put in a position of contacting a creditor, always do so by way of certified mail with return receipt. This is the only way to have a legitimate record of all written correspondence and for ensuring that the company in question received any written correspondence you sent to them. If it becomes evident that there is in fact suspicious activity occurring on your credit reports, then it may be time to contact the credit bureaus and place a fraud alert on your credit reports. This will notify other creditors to be aware that some type of unauthorized activity may be going on with your credit accounts. It will also prevent unauthorized parties from fraudulently opening lines of credit in your name and causing even more damage to your credit. Acquiring an identity theft affidavit from the FTC and taking that affidavit to your local police department to file a formal report about unauthorized activity on your credit reports will help to get the authorities involved in beginning an investigation into whether or not some type of fraud has occurred. Now that you are aware how to better monitor your personal credit, the next step is to begin to take action. By actively reviewing your credit reports and regularly checking your credit score, you will begin to understand what goes in to affecting your overall credit rating. 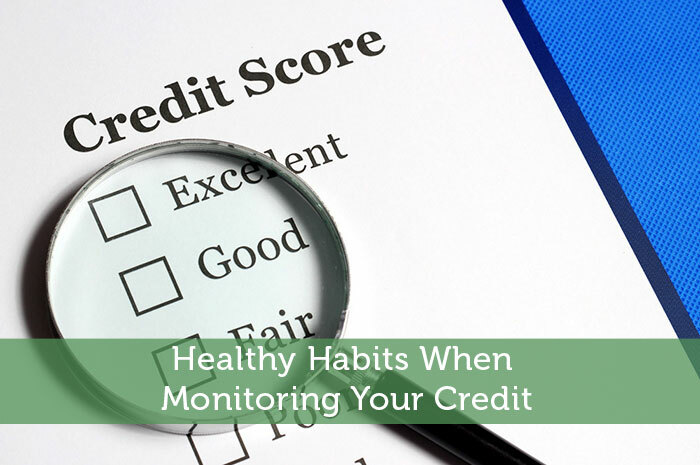 The more involved you become with monitoring and maintaining your personal credit, the easier it will be to take advantage of what a good credit score can do for you and your financial situation.